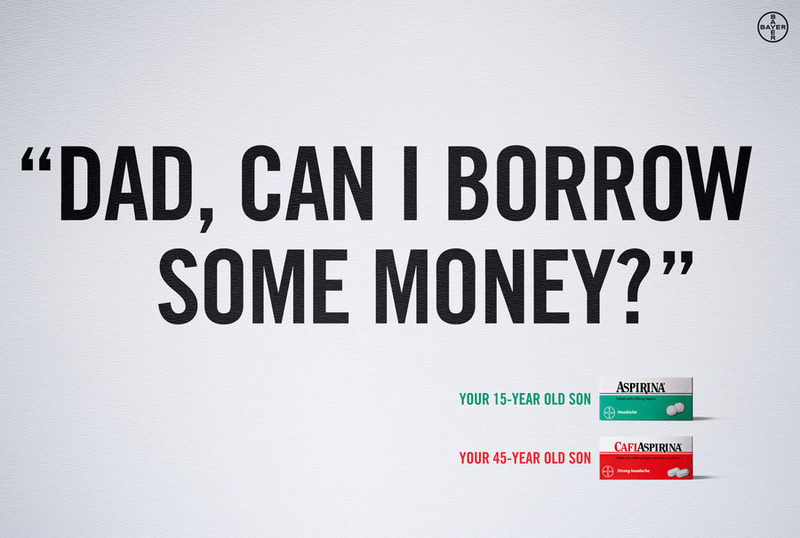 Bayer’s range of Cafiaspirina and Aspirina was presented in an award-winning print advertising campaign. 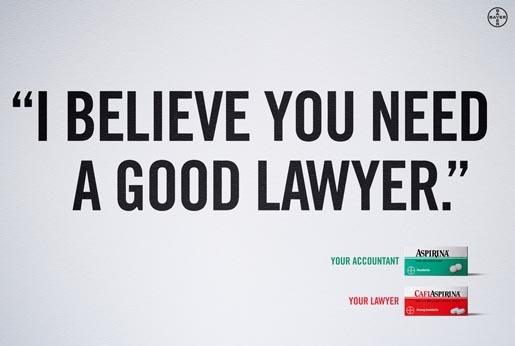 “Cell Mate” (We Need to Talk), “45 Year Old Son” (Dad, can I borrow some money), and “Lawyer” (I believe you need a good lawyer) suggest a higher level of pain killer depending on who’s talking. 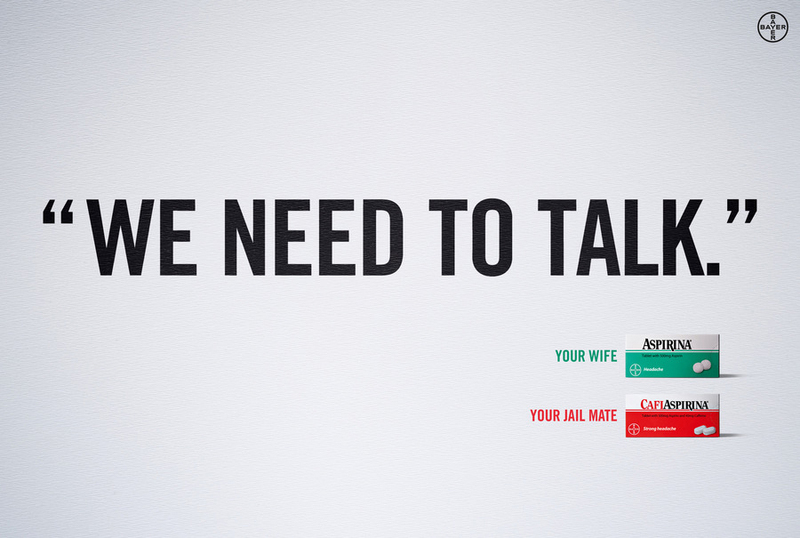 The campaign won Gold at the London International Awards for Print. See also the 2010 campaign. 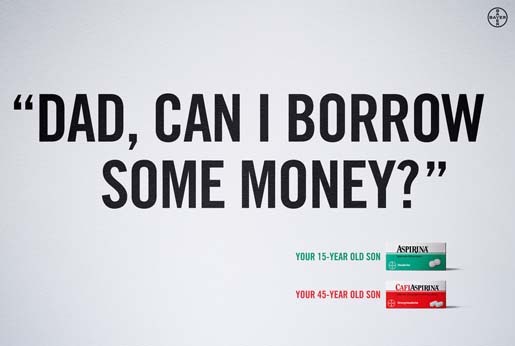 The CafiAspirina campaign was developed at AlmapBBDO, São Paulo by chief creative officer Marcello Serpa, executive creative director Luiz Sanches, creative directors Marcos Medeiros, Andre Kassu and Renato Simões, copywriter Ana Carolina Reis, art director Marco Monteiro, account directors Wilson Pereira, Calebe Ferres and Fabiana Santucci, and Bayer analgesics senior brand manager Lorenzo Kohler.